This program is available for children ages 4, 5 and 6 is designed as a precursor to regular Tae Kwon Do classes. The classes are 30 minutes long. 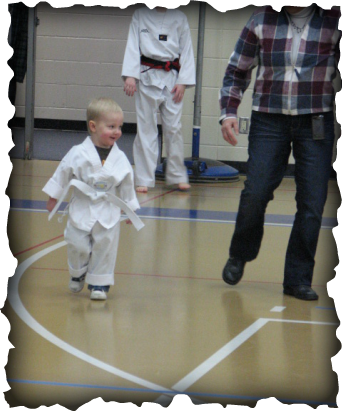 The child is taught material to help build a foundation for Tae Kwon Do training, while improving motor skills, memory, discipline, confidence and more. The material is presented in fun and exciting formats to keep the child interested and excited while teaching them important physical and behavioral skills to develop good habits early in life.